Build your career in the industry of your choice. Grow the income earned over your worklife. Imporve the quality of your life! How does the service delivery platform works! The platform exists so that we can produce more. There are jobs for all competent people to grow their careers and produce more with less effort. 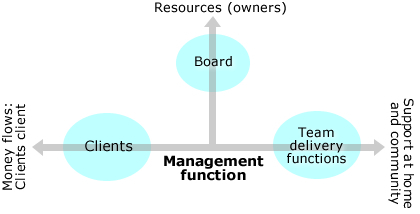 The service delivery is always in two value chains as shown in the vertical and horizontal axis above. Resources / Owners-who are they? Gain the insights of the flow of value that create the flow of money. The returns on resources attract more resources for the collective platform. The more you contribute to the value chain the more you earn. The more information goes home the more support you get. The natural functions of any platform or organization must be executed. Any service delivery platform or organization must align their delivery following the natural functions of efficient and aligned delivery processes and functions. A diagram of natural functions are on www.ebio.co.za. Be aware of all the functions to fully participate in your delivery. We focus on the recipe to find what you enjoy doing, in the industry you are attracted to, doing the work you enjoy doing, gain competencies to implement the value delivery. The ebio recipe let you identify requirements at each phase of life. We identified 8 phases from pre-school to legacy. We focus on students entering the work place in the platforms of work in service delivery platforms of organizations. Every service delivery platform or organization has a clear list of functions and projects to deliver the value and communicate the value of the service delivered. The processes let you collect from the sources of money and close the loop on service delivery. Your career and platforms grows. Discuss with us your platform or organization.